KSRealityBites: Mindfulness training helps improve memory! Mindfulness training helps improve memory! 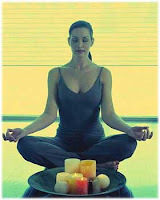 MUMBAI: Mindfulness training (MT) may help in improving mood & memory of a person, claims a new study led by University of Pennsylvania researchers. Mindfulness training involves meditation to increase the baseline clarity & equanimity in your mind throughout the day. This helps in developing a continual process of consciousness in mind. The researchers studied a high-stress US military group preparing for deployment to Iraq being trained. It included two military cohorts of 48 male participants with an avg. age of 25 recruited from a detachment of Marine reservists during the high-stress pre-deployment interval & provided MT to one group of 31, leaving 17 Marines in a second group without training as a control. The results of the study showed that army men who underwent mindfulness training were in better mood and had a good working memory. They could easily solve their emotional problems & had better regulation over their emotions. Practicing MT helps in controlling the cognitive behavior & become more conscious about the self & surrounding situations. Amishi Jha, cognitive neuroscientist, Dept. of Psychology & Center for Cognitive Neuroscience at Penn & Elizabeth A Stanley of Georgetown University studied how mindfulness training affects the psychological health of the US marines before deployment. According Dr. Jha, meditation is an active & effortless process that literally changes the way the brain works. Jha & her team studied the working memory capacity and affective experience in individuals who participated in the program developed by Stanley, a former US army professor. Mindfulness-based Mind Fitness Training (MMFT), the objective of the program is to cultivate better flexibility in mind by strengthening mindfulness. Engaging in regular mindfulness exercise may improve fitness of mind. This study appeared in the journal Emotion & the latest edition of Joint Force Quarterly, the advisory journal for the Joint Chiefs of Staff. You've got a really nice blog. Many people usually do not realize what mind power can do to one's good results. You have an extremely nice blog. To turn out to be a prosperous individual the fundamental issue is always to have positive thinking.